Drumcomplex – the two brothers, who make a perfect musical duo, work in their own manner. Arnd rocks the dance floors and Daniel stays in the shadow – he is the one, who is more of a technical heart of the duo, when Arnd is the out-there soul of it. The last year’s debut on Ibiza at Carl Cox’s Revolution at Space has won Arnd a return ticket to the island where he played last season. 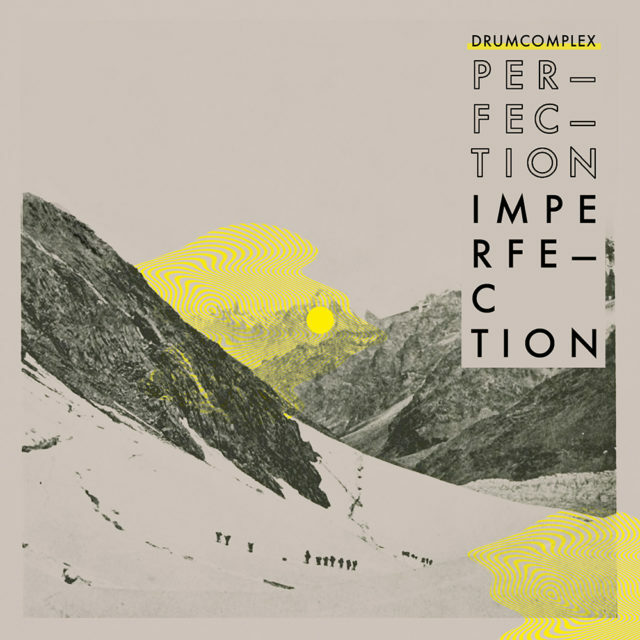 Drumcomplex are now ready to win over the charts with their new release, which is out today at Complexed LTD Label. We talked to Arnd about their new release and future plans. Hi guys. How have you been? Are you ready for the world tour? Is it going to be a live tour? Do you take a lot of gear with you? As you know Daniel is always staying in the background and Arnd is playing as a DJ to represent Drumcomplex. We are planning a Live Set up for the future together but this is just a plan. Which cities are you planning to play at? We had a quit busy schedule this year playing in India, UAE, Australia, Sweden, Switzerland, Austria and much more. Our agency Blakksheep is working now on the complete tour. We have some big goals where we wann go like Japan, South America. The first festival gigs for 2017 are already confirmed so we are really looking forward to all what will come. Tell us about your album “Perfection is in Imperfection”, what is it about? Perfection Is In Imperfection is inspired by the Japanese philosophy of Wabi-sabi, a concept which focuses on the appreciation of imperfection, things that are simple, rough, or incomplete. Wabi-sabi nurtures all that is authentic by acknowledging three simple realities: nothing lasts, nothing is finished, and nothing is perfect. I am a spiritual person and thats exactly how I see things, it’s not only music wise. I wrote the most tracks in my home studio only “Aphrodite” i did on the flight back from Melbourne to Düsseldorf on my laptop. My brother which is a tone tone engineer received all parts and worked on the mixdown in our main studio. Mostly we worked simultaneously. So he mixed and I wrote the title and arranged everything. This was very effective and we were able to finish the album in half a year. Conor Dalton from Glowcast Mastering took care about the mastering. Any notable collaborations you would like to tell us about? What about the one with Misstress Barbara? How was it to work with her? Barbara is an amazing person, super professional and a really good friend of us. She is so talented. I met Barbara this year in february when i was on tour in Australia. We had some great days together in Melbourne together with good friends. After finishing the playback of the tune i thought you have to ad a vocal line and i asked Barbara if she would like to work with me on it. She wrote & recorded the vocal lines in her studio in Montreal. Are you planning any new projects? I guess that considering the tour it would be hard to find time for studio work? Yes we are busy again in our studio working on fresh stuff, but you are right while touring its often hard to find the time. We try to stay during the week in our studio to realize all.